Are we really doing a disservice to people who are experiencing homelessness by renovating the park or are we making it a nice place for everyone to visit and use? If you’ve walked through Monroe Park lately, I think you would agree with me that it is in sad shape and in bad need of a facelift. After having walked through or by the park numerous times in the last few years, I’m ready for this makeover. I now have a granddaughter who started her freshman year at VCU and I’ve told her to stay away from the park, especially at night. Deteriorating and poorly lit places breed crime. It seems to me the issue isn’t about whether the renovations should happen but whether the renovations will discourage people who are homeless from using the park and in some cases sleeping in the park. Once the park is renovated, it should be a great place for anyone, regardless of their housing situation. And, call me crazy, but I don’t think a park bench is a safe place for anyone to sleep. People who are experiencing homelessness should be inside if at all possible – in housing, preferably permanent housing – but if this is not available, in an emergency shelter. We have 1000 emergency and transitional beds in this community and we have The Healing Place for folks with substance abuse issues. Currently there is also a lot of concern over the weekend happenings in the park, where many well-meaning people from various congregations and groups come to provide food, clothes and bedding to those in need. This is not an organized effort (i.e., no one is in charge) and I have heard complaints that oftentimes trash and stuff that is not picked up by folks is simply left for the City to pick up. So, is this the best way to feed people on the weekends? For those of you who don’t know, Freedom House serves a meal on Saturdays at 3:30 and a brunch on Sundays until 2pm. They will also give bag lunches on Sundays to folks who need them. The meals are served at the Conrad Center, which is at 17th and O Street. Meals are also served there during the week in the morning and evenings. Lunches are served every day by the downtown churches. So why do people feel compelled to bring food and other things to the folks who are experiencing homelessness who gather in Monroe Park? Are we as a community doing this because the folks who gather there need food, clothes or bedding? Or are we doing it because we need to feel like we are doing something to help? I don’t mean to disparage anyone who has helped people experiencing homelessness in Monroe Park, but I know that Freedom House could use more volunteers to help serve meals. To find out more about opportunities with Freedom House, please contact Christy Ellis, Community Resource Director at 233-4064, est. 209. VSH also has plenty of opportunities available and would welcome individual and group volunteers who have a passion for helping people in need. We’ve worked very hard in this community to develop a system of helping people in crisis and I think it works fairly well most of the time. It is accessible and treats people with respect and dignity. I don’t think we need to continue to use the park as a place to sleep or as a feeding program on the weekends. I think it should be a beautiful place where my granddaughter and anyone, including people who are experiencing homelessness, can enjoy all of the time. According to a recent article in the Richmond Times-Dispatch, Monroe Park will be undergoing a $6.2 million renovation in the spring of 2011. The park, central to both the downtown area and to the Virginia Commonwealth University campus, is a favorite of students and city-dwellers alike. With the proposed introduction of a café, outdoor stage, carousel and completely revamped seating areas and scenery, the space will be buzzing compared to its current dull state. But what does this mean for the homeless individuals who frequently take refuge there? It’s not uncommon for urban renovation projects like this to result in negative consequences for people who are homeless, and to further escalate the criminalization of homelessness. From this perspective, homeless populations are seen as more of an “eyesore” and a nuisance than as human beings who need housing and help. 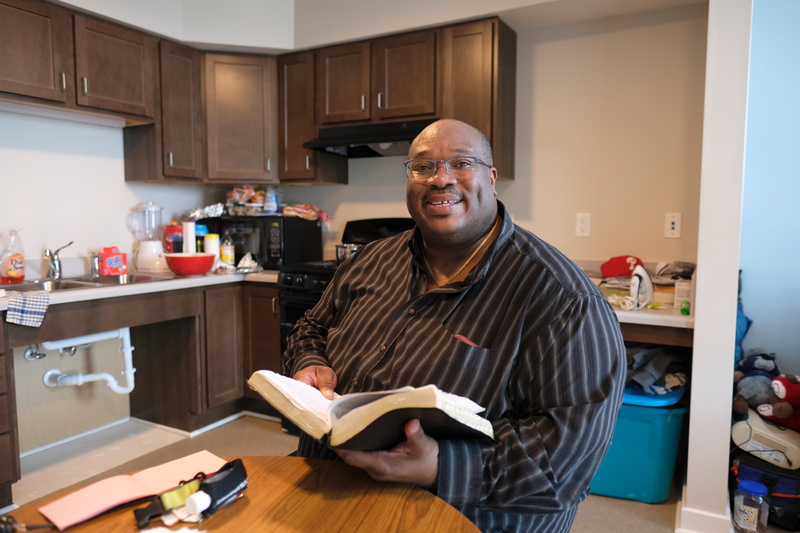 However, in the same article, City Councilman Charles R. Samuels said he’s trying to encourage feeding and other homeless-outreach efforts to be redirected to the Conrad Center in Richmond’s East End or to other nonprofit service locations. This may be the beginning of the end of the homeless population in Monroe Park. Once construction begins, people who are homeless will be forced to relocate at least temporarily. And once the new park has opened to the public, it’s likely that they will be “strenuously discouraged” from returning. I’m all for the renovation of Monroe Park. But we all need to make sure that these homeless human beings are not just pushed to the side and forgotten for the sake of cosmetic improvement.